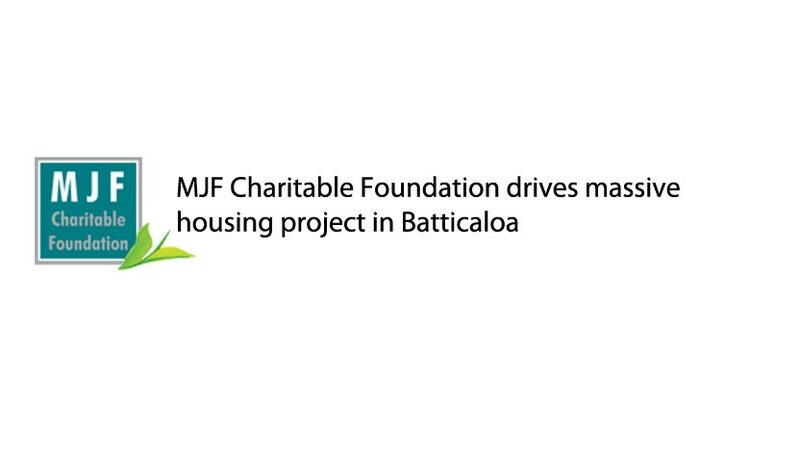 In co-operation with the Sri Lanka Government and UN Habitat, the MJF Charitable Foundation is facilitating the largest post tsunami relocation project in Sri Lanka. This includes the construction of a road network and construction of houses and an empowerment and livelihood development scheme. ImageIn the aftermath of the 2004 Tsunami disaster, the MJF Foundation formulated a long term programme to restore and uplift the living standards of devastated fisher communities along the Eastern and Southern coasts of the country. An effort was also made to introduce environment friendly and sustainable livelihood practices to ensure the long term health and economic well being of coastal communities. After the initial emergency relief initiative, in partnership with the World Conservation Union (IUCN), MJFCF focused on medium and long-term intervention aimed at rebuilding and enhancing lives beyond the pre-tsunami status. The eastern coastal district of Batticaloa received special emphasis from MJFCF as it not only lost nearly 3000 lives to the tsunami but it is an area engulfed in a 20 year long war. People in this district have long suffered without conveniences many of us take for granted. Hundreds of families received a double blow when they were rendered homeless from the 2004 tsunami. Most of these families are living in temporary shelters for the past 2 and a half years. In an effort to redress this situation, the Foundation is providing funding for the construction of several hundred houses in Thiraimadu of Batticaloa. “Owner Driven Housing Project” the beneficiaries themselves construct their homes using financial and material assistance provided by the Foundation, UN Habitat and the Government. Through this project, 189 families will be new homeowners. Furthermore the community will be assisted to establish a sustainable agriculture based industry to provide long term socio economic stability.